Feel free to contact us with your specific local market updates! By this time of the year, folks are usually starting to receive tax related statements from their place of employment or companies where they have investments. One of the key benefits of owning your own home or having a real estate rental or investment property is the ability to deduct the property taxes you pay against the income you’ve earned on the property or to reduce your personal income tax liability. I’ve created a short video below to help you understand some of the basics around property taxes in Cook County, Illinois. * Please keep your heat set to at least 66 degrees or higher even when you are not home. * At least one inside faucet, preferably more, should continually drip warm water so that both hot & cold water lines are kept flowing to prevent freezing. * Pipes for the kitchens and first floor bathrooms tend to be more vulnerable to freezing pipes. Cabinet doors should be left open to allow heat from your unit to enter. * All faucets should be checked in the morning and evening to insure there is proper flow of water. What would you do with the time you spend in your daily commutes if all you had to do was get in the car, enter your destination and press Go? The Google Prototype Driver-less car is fast getting around this holiday season in California with plans to have approximately 100 of these vehicles operating in the next year on actual roads. Even at the current 25 MPH speed limit, it’s a step in the right direction to minimize in-attentive drives who often use their commute time to perform other tasks while driving. As testing of the prototype progresses over time, I’m sure they will be able to update the software to react much quicker and provide safe operations at higher speeds of movement for the vehicle. In urban areas like Chicago, it’s a great alternative to traditional public transportation offering some flexibility and privacy. It’s also a way for those who transitionally have limitations to driving (seniors, visually impaired, persons with other disabilities) to be able to operate their own vehicles without having to rely on others to get them around. It’s been under construction in the West Loop neighborhood of Chicago for several months and it’s been a hidden secret, but not for much longer! Brooklyn Boulders has just opened their newest location for enthusiasts in the sport of climbing. The space is uniquely designed for the sport and it will also have work spaces and conferences rooms that are available for rent by entrepreneurs and the community. In addition to allowing members to practice their rock climbing skills, other fitness classes and yoga are offered at the new space. Their target market includes user of Zip Cars and Uber who enjoy the simplicity and cool factor. Several membership plans are available starting at $25 for a day pass, $225 for a 10 Pack and other monthly and yearly plans are available. 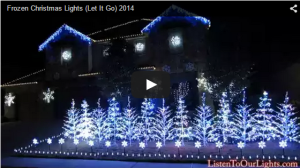 Holiday Light Show Synced to “Let It Go” from Frozen. Tis The Season and the weather could not be better to go out and take in the holiday decorations and lights around town. Homeowners are putting up their lights this time of the year and of course some of the best holiday light shows from homeowners can be found right on the internet. “Let It Go” from the Disney Movie Frozen is one of the hit songs this past year (released December, 2013) sang by Idina Menzel who has a fantastic voice and has dawned many Broadway productions that I love. 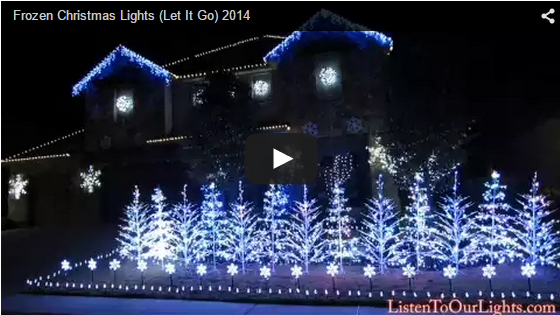 Check out this homeowner’s holiday light show synchronized to this song. Idina Menzel is a fantastic actress, performer and always comes across to be so humble and sincere when she appears in public like at the recent CMA Country Christmas Show where she appeared with Jennifer Nettles. And there there are other special performances by Idina Menzel that is near and dear to me from the first Broadway Show I saw “Rent where the audience Mooooo’d with her. And this performance of “Defying Gravity” in “Wicked” with Kristin Chenoweth who also has a strong and powerful voice. I enjoy airlines who have a bit of sense of humor to get folks to pay attention to their In-flight Safety Videos, even though some friends who are flight attendants disagree with these methods and feel it is less professional. As an air traveler, I simply find the normal safety videos boring and repetitive, although I am still one of those travelers who will take a look at the Safety Card in the seat pocket in front of me and pay attention to the Flight Attendant’s demonstrations because frankly there is nothing more important than safety when flying and there isn’t much else to do during that part of the flight waiting for take off. 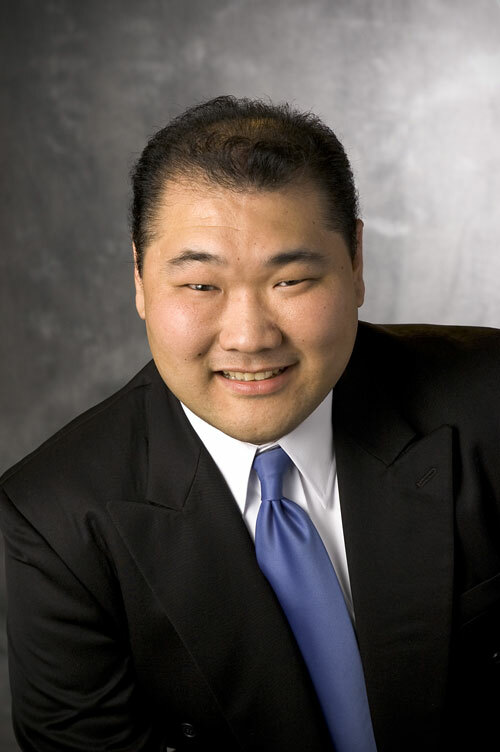 Chicago, Illinois USA, September 29, 2014 – Kyle K. Chang, Managing Broker, Realtor, ABR, GRI, SRS of C&C Realty Group, Inc www.LoftsNHomes.com has been awarded the Certified Negotiation Expert (CNE) designation from the Real Estate Negotiation Institute (RENI). 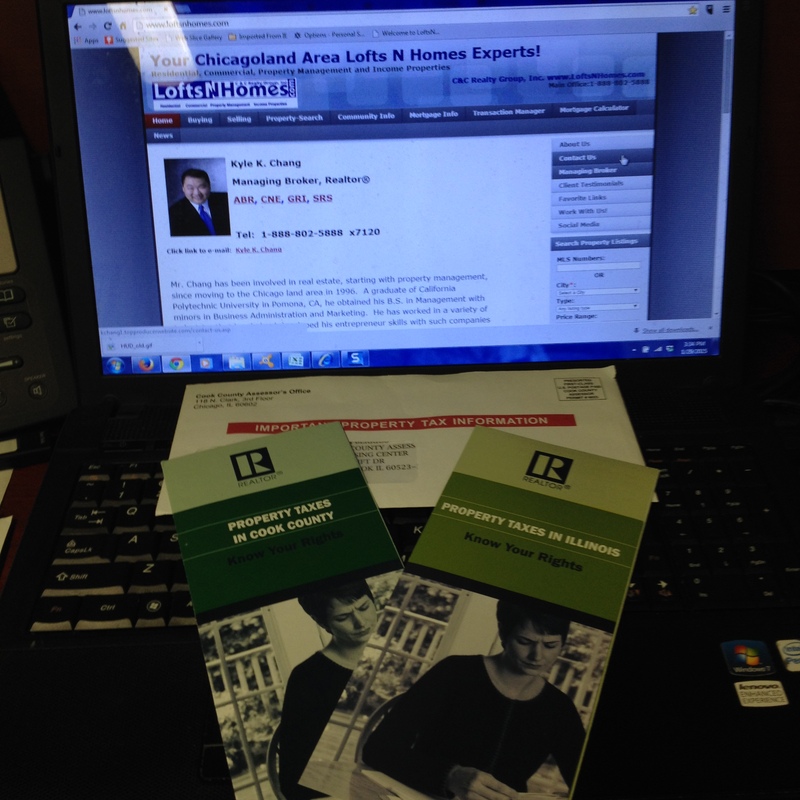 The CNE is earned by real estate professionals after successfully completing formal negotiation training over two days. Agents who receive this certification are among the top agents in the country in negotiation skills. With professional negotiation skills, agents are able to help clients obtain better results in the sale or purchase of their home. CNE agents have a higher skill level which enables them to 1) communicate more effectively to uncover desired information, 2) help clients understand their options, 3) work collaboratively with others, and 4) resolve deadlocks. CNE agents have a thorough understanding of how to negotiate effectively to help achieve their client’s goals. Kyle has been involved in real estate, starting with personal property management and income properties since moving to the Chicago area in 1996. A graduate of California Polytechnic University in Pomona, CA, he obtained his B.S. in Management with minors in Business Administration and Marketing. He has worked in a variety of industries that has helped developed his entrepreneur skills with such companies as Hyatt Hotels, Sears & Roebuck and McDonald’s Corporation, Wheels, Inc. just to name a few. Kyle first obtained his Illinois Broker’s license in 2002 and worked for a local firm in the Lakeview neighborhood. Prior to coming on board as the managing broker for C&C Realty Group, Inc – LoftsNHomes.com in 2003, Mr. Chang ran the Chicago operations for a Financial Services firm based in Massachusetts and in a variety of technology & training positions for a Chicago based fleet vehicle leasing firm. He is also an expert marketing and operational consultant for the Retail and Hospitality Industries since 1996 and a contractor to work high level sporting events such as the Super Bowl and Olympics. For more information visit www.theRENI.com. Some great news for the economy and housing was published today regarding the local Chicago surrounding suburbs of Chicago that the local MLS MREDLLC.com services and maintains the data. What this suggest is that for seller’s who previously were not able to sell due to low prices, it might be time to re-consider. With the low interest rates expected to sustain in the short term (next 6 to 18 months) by the Fed., it is likely that the trend of multiple buyer offer for sales is also likely to sustain in popular neighborhoods. Keep in mind that this latest update does not necessarily apply directly to your specific property and / or local neighborhood. It is best in those situations to contact a real estate broker (like me) who is familiar with the properties that is more specific to your situation. “Most local markets continue to recover from a soft patch earlier this year. The macro trend is still positive; the micro trend involves more moderate pinching up and down the month-to-month timeline. This is not uncommon in a balanced market, but it’s been so long since we’ve seen one that we’re watching it with perhaps too much trepidation. Metrics to watch include inventory and prices, but also days on market, months’ supply and percent of list price received at sale. Declines in pending and closed sales activity may reflect strong decreases at lower price points and may not indicate softening demand. 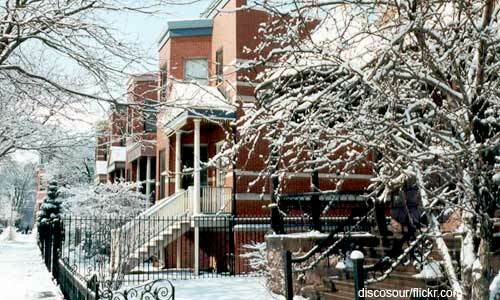 New Listings in Chicagoland were up 4.6 percent for detached homes and 1.1 percent for attached properties. Listings Under Contract increased 4.6 percent for detached homes and 3.1 percent for attached properties. The Median Sales Price was up 8.1 percent to $219,900 for detached homes and 9.3 percent to $177,000 for attached properties. Months Supply of Inventory increased 4.4 percent for detached units but was down 4.4 percent for attached units.